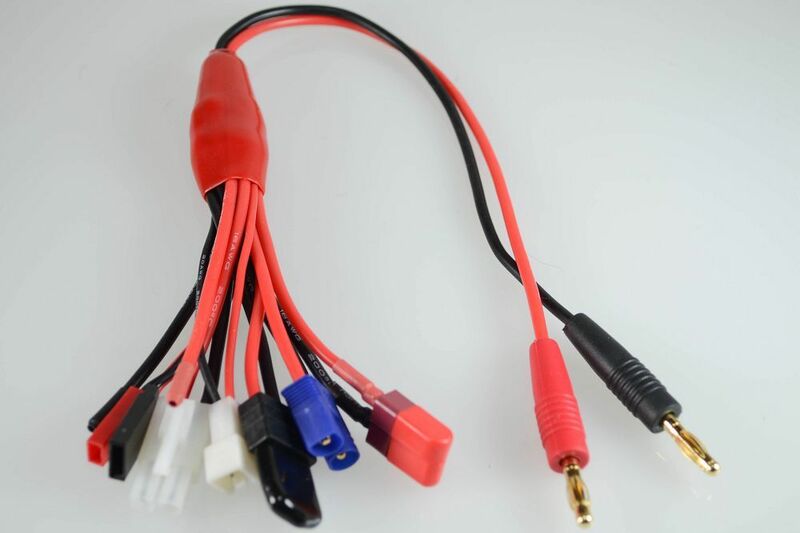 Universal charge cable. 4 mm banana plugs on one end. Octopus into JST, Fut Receiver, Tamyia, Traxas,EC3, T-plug (dean) and 1 open end adapter. length 13"